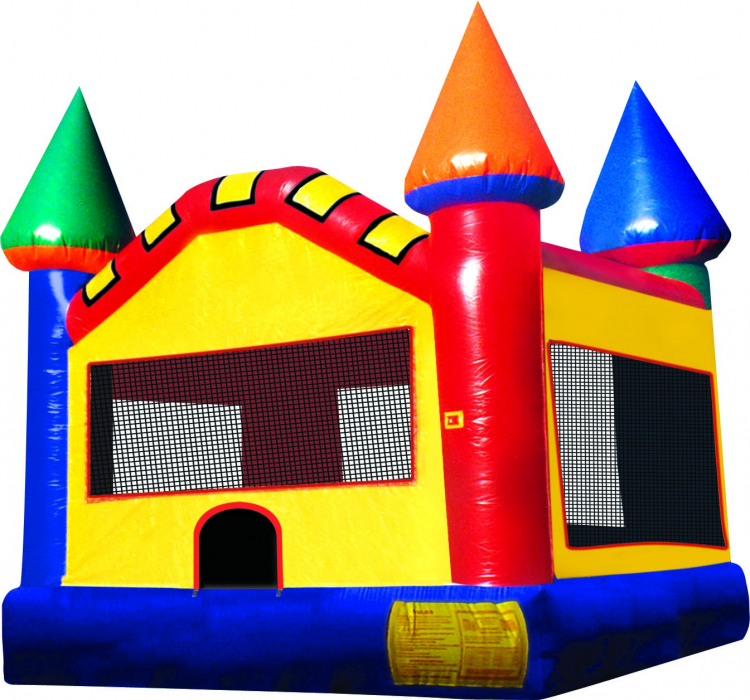 The Castle bounce house is one of the greatest moonwalks ever built for children`s entertainment. This moonwalk is perfect for kings and queens of all ages . With colors of blue, green, red, yellow and orange, along with four tall spires, it makes any party successful and unforgettable. Promote healthy activity and entertainment with a moonwalk. 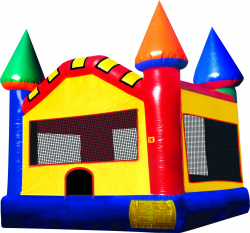 Kids will have a grand time ruling and making friends in the Castle. This jumper has 360-degree mesh windows, so parents and spectators can have a clear view of all the fun.